Iran’s military assistance and unwavering backing of the Bashar al-Assad regime is no secret. It is Tehran’s efforts on the ground that shored up the embattled President Assad whose future a few years ago seemed to be coming to an end. Iran has sent hundreds of military advisors to assist the war machine of Damascus while mobilized thousands of Shiite volunteers from Iraq and Iran to fight on behalf of the Assad regime in Syria. Hezbollah also forayed into the battle in a move that swung the pendulum in favor of Damascus. Whatever Iran militarily did on the ground, the contribution of its air force was always limited. Iran’s air involvement is a different story and requires a closer scrutiny to grasp the ambition and limits of an aspiring regional power. 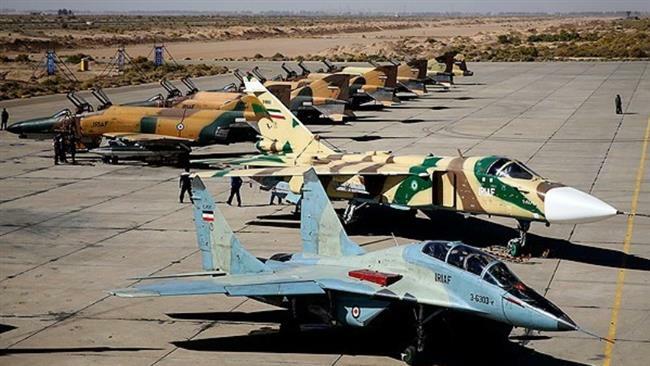 The role of Iranian Air Force and IRGCASF (Islamic Revolutionary Guard of Corps Air and Space Force) is not significant in the war in Syria both in terms of quantity and quality in comparison with the role of Russian Air Force and even coalition air forces. Both of them don’t have fighter airplanes based in Syria or they are not carrying out any strike or combat missions against the Islamic State and other jihadists in Syria from Iran. The reason is the presence of anti-ISIS coalition air force whose combat aircraft and fighter jets intensely involved in multifaceted operations as part of CJTF-OIR in Syria and Iraq, a factor that proved to be risky and unsafe for Iranian air force. The other reason is that the IRGCASF has currently no combat capable fighter jets. A number of ex-Iraqi Su-22s are under refurbishment or modification to become anti-ship platforms (for carrying C-704KD and C-802A anti-ship cruise missiles) for supporting IRGC Navy operations in the Persian Gulf and Strait of Hurmoz (even this upgrade project is stuck because of sanctions), so Tehran will never use them in Syria. Also, Iranian Air Force currently faces acute budget problems and even is unable to pay the cost of an overhaul of its F-4Es, a modernization project carried out by IACI (Iranian Aircraft Industries) company. The reason is that IRGC commanders are preventing Iranian regime to allocate more budget for modernization of Iranian Air Force. So, it will be out of their budget to deploy fighter airplanes to Syria and operate them from Syrian air bases even if the United States Air Force and its allies are not present there. Only combat aircraft of Iran used against various jihadist groups are IRGCASF Shahed-129 UCAVs which in two cases threatened or harassed U.S. backed Syrian Democratic Forces (SDF) troops near Al-Tanf border crossing. It forced the American air force to shoot-down two of them in June. Now, IRIAF and IRGCASF role in Syria is only summarized to logistic support using handful number of Lockheed C-130E/H Hercules (from IRIAF) and Antonov An-74T-200(from IRGCASF). Two of each type are usually based at Damascus International Airport. They were used to airdrop food supplies for inmates of Foa and Kafraya back in 2015 and 2016 (during their siege). Then they were used to transfer IRGC commanders, advisers, and IRGC-QF-backed militias from Damascus to Latakia and other cities. This is the only form of presence by Iranian military airplanes in Syria, and there are just four of them. But usually, two to three are there simultaneously. Russian Air Force also has provided two Il-76MDs for Syrian Air to transfer weapons and troops of Syrian Arab Army from Damascus to other regions, but they can not be used by IRGC there. Therefore IRGC uses its own An-74s, and Iranian Army Ground Force uses IRIAF (Iranian Air Force) C-130s. After the withdrawal of Iranian Army Ground Force airborne troops from Syria last year following the death of several Green Beret commandos near Aleppo, subsequently the number of Iranian Air Force C-130 flights to Syria and inside Syria dropped one-third. In conclusion, despite its palpable and significant presence on the ground in military terms, Iranian air force has a limited role and involvement in the Syrian war for a number of reasons outlined above. The conflict, which has been raging for more than six years now, saw expansion of Iran’s regional reach toward the Eastern Mediterranean. But it also exposed outer limits of its military efficiency, its not-so-advanced air power, and overstretch of its diplomatic and economic resources.